The British National Health Service (NHS) has greenlit a clinical trial which could eventually make Open Bionics' 3D-printed prosthetics available to children for free. While some governments continue to make discussions around healthcare feel like actual medical procedures, innovators have been busy creating literal life-changing technology. The latest update in that narrative comes from Britain, where the National Health Service (NHS) has greenlit a clinical trial which could make 3D-printed bionic hands available to children for free. The prosthetics are a creation of Open Bionics, a startup based out of Bristol. It’s common knowledge now that 3D printing can significantly reduce the costs associated with rapid prototyping and large-scale production. Open Bionics has applied those benefits to prosthetics, which at the moment can come with exorbitant price tags. The frugal production method could bring the cost of bionic hands down to as little as about $3,500. The prosthetics use a suite of sensors and electrodes to translate weak muscle signals into electrical signals channeled to controllable fingers. Ten children are part of the clinical trial being undertaken in the UK. 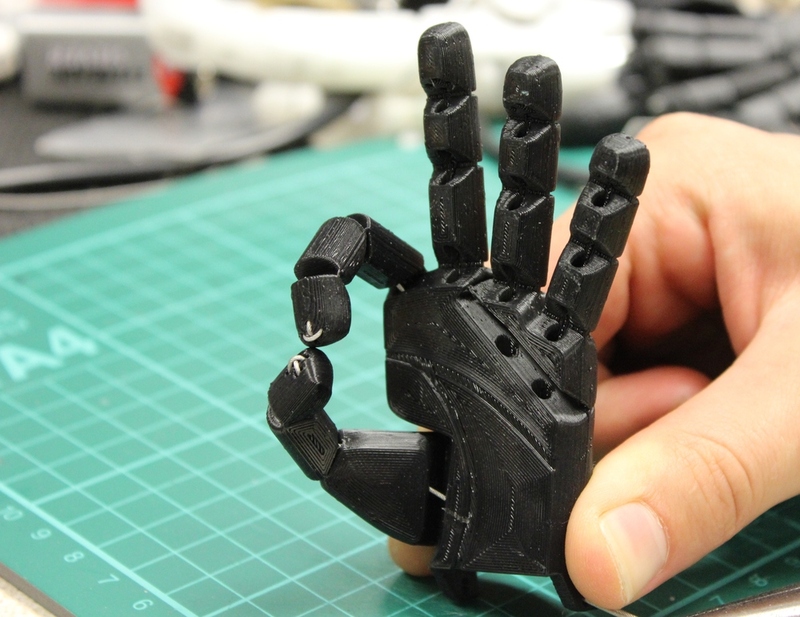 Over six months, doctors and other specialists will study how they can adapt to using the 3D-printed hands. If the trial goes well, the prosthetics could be made available to children at no cost as part of the NHS’s healthcare program. Open Bionics aims to make its products available to the projected 2 million hand amputees around the world. A significant number of those amputees don’t use a prosthesis. Most that do have hooks, since that is currently the most cost-effective option while a small percentage has access to robotic hands. The startup uses 3D printing to produce functionally advanced bionic hands which, by dint of their relatively low price point, can be afforded by a larger section of the population. In addition to investing in innovative engineering that makes prosthetics more affordable, Open Bionics has also attempted to address some of the social challenges associated with the procedure. There are studies which show that body image and emotional health among amputees can be linked to perceived social stigma. 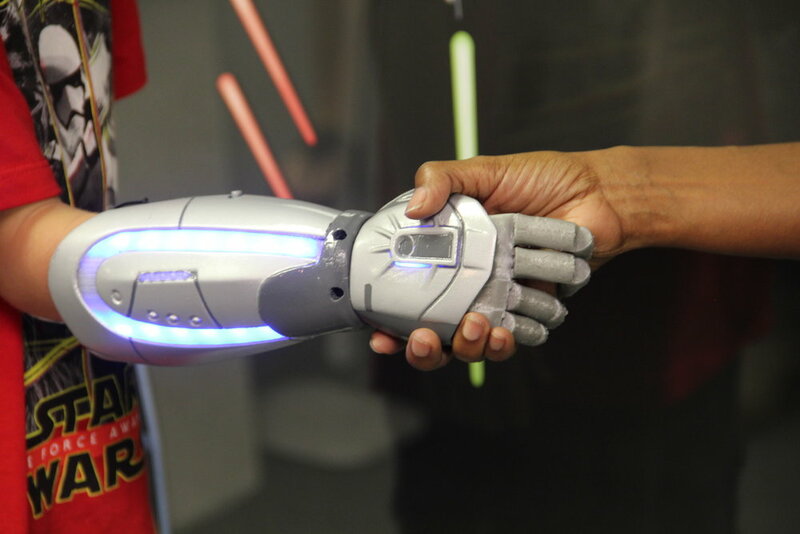 Since Open Bionics’ product is aimed at kids, they have reached royalty-free partnerships with studios like Disney and Marvel to create bionic hands themed around movies like Frozen, Iron Man. The Star Wars lightsaber prosthetic was designed with help from the ILMxLAB at LucasFilm. Open Bionics has gone about destigmatizing prosthetics in many other ways as well. On learning about one-handed amputee gamer James Young, the team 3D-printed a bespoke bionic hand inspired by the Metal Gear Solid games. At the 2015 Wearable Tech Show in London, the startup created a Swarovski-studded prosthetic for actress Grace Mandeville. They also have a blog that features listicles like the “Top 10 Fictional Hand Amputees” and “10 Reasons Why One Hand Is Better Than Two,” showing that having a sense of humor can go a long way towards breaking the stigma. I am impressed. This is a good use for a 3D printer and software at the same time. I have seen a lot of things for sale that were printed on these types of printers, but not all of them are this useful. Offering this kind of help to children for free is awesome! I really like that a company can do this. It shows investors where the heart of the company is and that says a lot about the founders. My kid would be so pumped to have a bionic hand if he lost his! What a great use of the new technology of 3D printing, that seems to be taking over a lot of markets. I still cannot believe where the 3D printing has gone in the last few years. So many things can be done with it and the engineers are really stepping it up to take things to the next level. With things like bionic hands a possibility, who knows where the line will be drawn?